Sujata Massey is the author of 13 novels set in India and Japan. Her books have won the Agatha and Macavity awards and been nominated for the Edgar, Anthony, and Mary Higgins Clark book prizes. 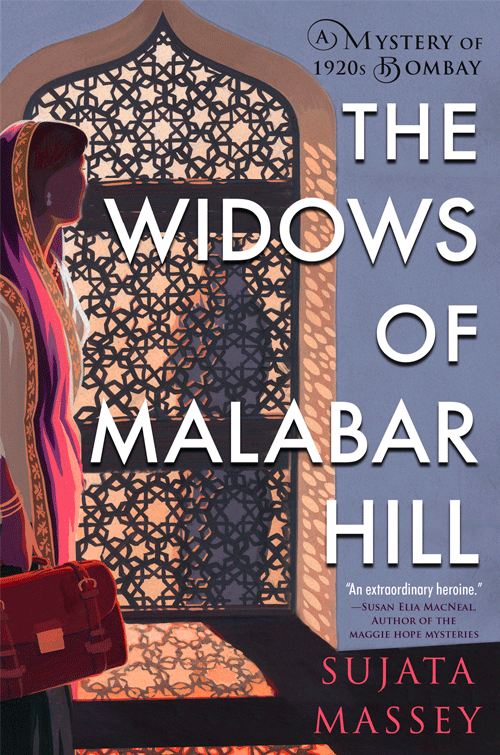 Sujata’s latest book, The Widows of Malabar Hill, is a mystery set in the 1920s in Bombay that features Perveen, Bombay’s first woman lawyer. 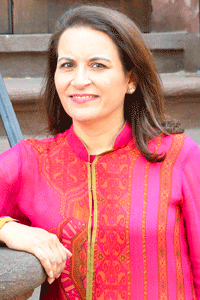 Sujata lives with her family in Baltimore but travels often to India to continue work on the Perveen Mistry series. Perveen Mistry, the daughter of a respected Zoroastrian family, has just joined her father’s law firm, Mistry Law, becoming one of the first female lawyers in India. Armed with a legal education from Oxford, Perveen also has a tragic personal history that makes women’s legal rights especially important to her. Mistry Law has been appointed to execute the will of Mr. Omar Farid, a wealthy Muslim mill owner who has left three widows behind. But as Perveen examines the paperwork, she notices something strange: all three of the wives have signed over their full inheritance to a charity. Perveen is suspicious, especially since one of the widows has signed her form with an X—meaning she probably couldn’t even read the document. The Farid widows live in full purdah—in strict seclusion, never leaving the women’s quarters or speaking to any men. Perveen tries to investigate, and realizes her instincts were correct when tensions escalate to murder. Now it is her responsibility to figure out what really happened on Malabar Hill, and to ensure that no innocent women or children are in further danger.